Sad to see him go so early. This took a moment to sink in. Wow. I missed the news about his bile duct issue, so this came right out of left field. Very very sad news. Pretty shockingly young by today's standards, especially considering it was something he'd been receiving treatment for. 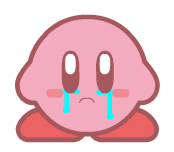 RIP Iwata.